My Beatport DJ chart (August 2013) is available! 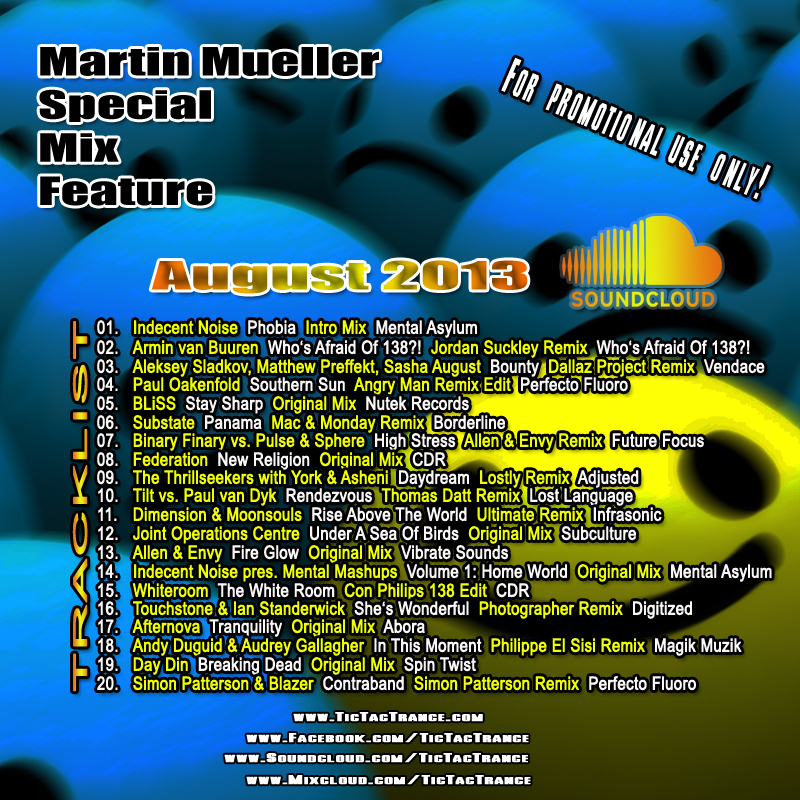 Some tunes are included in my Soundcloud Mix August 2013 aswell! 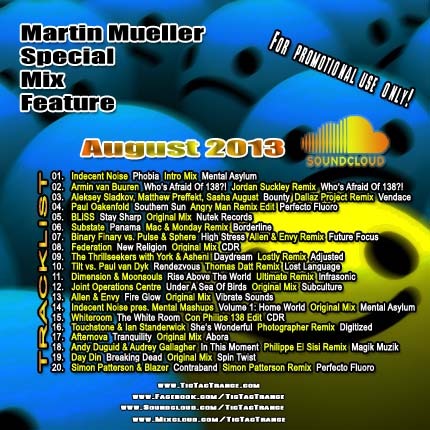 My Soundcloud Mix August 2013 is available! My Soundcloud Mix Series is back with 20 fresh tunes mixed into just one hour! It features tunes and remixes by artists like Day Din, Federation, Indecent Noise, Simon Patterson, Thomas Datt and many many more! It’s now available on my SOUNDCLOUD page. Enjoy! Tic Tac Trance #068 Replay Available! It’s almost there! 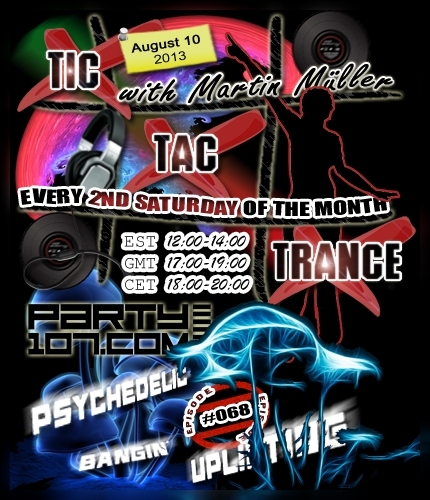 Episode #068 of Tic Tac Trance will be broadcasted on August 10 2013 on Party107 and will feature new tunes of labels like Ncore Records, Mental Asylum, Monster Tunes, Perfecto Fluoro, Abora Recordings and many more! This time I’ve prepared a very sick 2 hours journey which features many different styles of uplifting, psychedelic and bangin trance. Make sure to tune in!